I am putting my TAG Heuer on sabbatical for a while. I'm on the search for a new watch. It's not that I need a new watch, I need alarms to go off throughout the day so I will remember to eat lunch and snacks to keep my metabolism going. 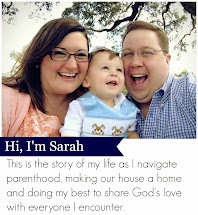 Gone are the days of meeting friends everyday and going to luncheons throughout the week. I miss those Outlook reminders. Working solo, I get so into my tasks that I don't remember to eat lunch until about 3:30 in the afternoon, which makes for a hungry girl who doesn't make the best decisions. Plus I am starting a new regimen that calls for me to eat something small every few hours, so I need a little help remembering to break away from my desk. 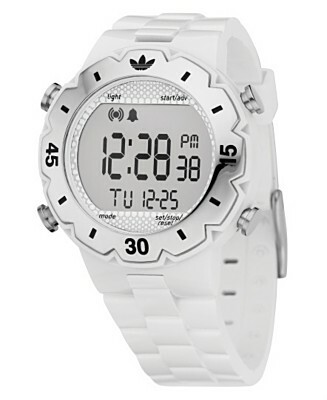 So it summer, so I've decided a cute white watch is in order. Of course I would like to have either this Toy or Michael Kors number wrapped around my wrist. BUT - neither has alarms, darn! So last night I bought this bad boy. 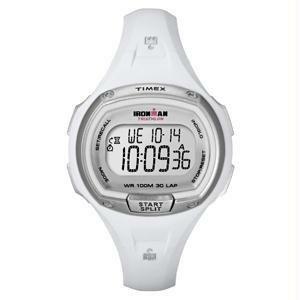 I'm not sold 100% on the Timex, so I am going to Macy's this afternoon to check out this little guy. I've also set up my igoogle to have an alarm clock too, hopefully multiple alarms will help (maybe I need to use this strategy for getting out of bed in the morning, too). LaCoste makes a cute white watch. 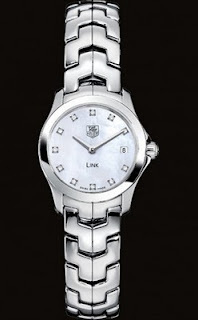 I am not a watch girl at all. About the only thing I like is a pocket watch. 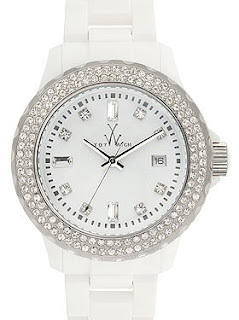 I love white watches for Summer! 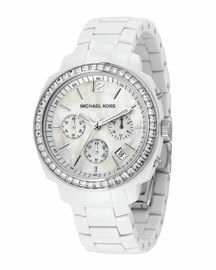 I have been eyeing the Michael Kors one for awhile. Can't wait to see what you end up with!